Concerned about new Bottled Water regulations? Here’s what you can do. 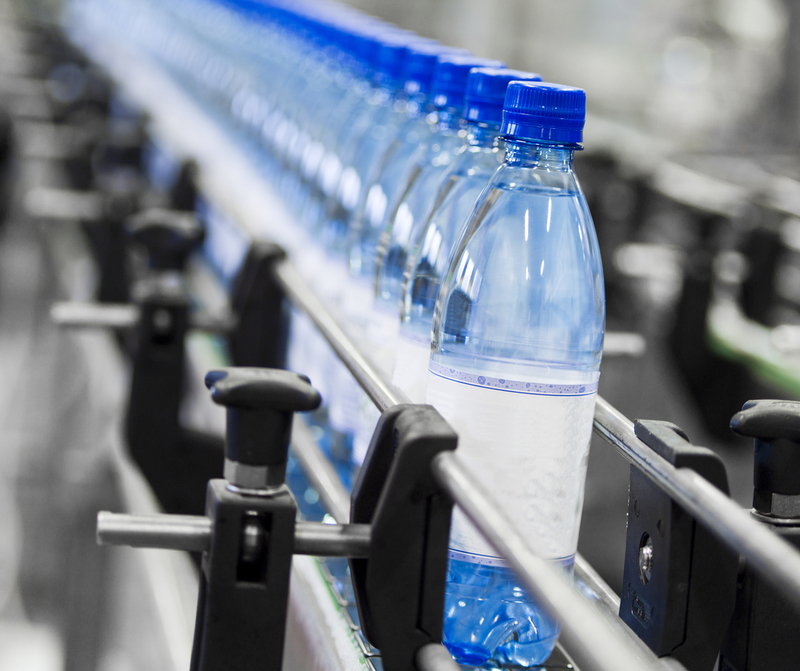 | Nbisiing Consulting Inc.
Last week, the Government of Ontario announced measures to protect source groundwater from water bottling companies. Environmentalists, concerned local citizens and First Nations have long been concerned over the amount of water being taken and used for bottled water. Much of that water leaves the watershed, exported to major markets around the world. For First Nations people, water is our lifeblood and must be protected. Many feel that water should not be considered a commodity, to be bought, sold and exported commercially. Others are concerned over the amount of plastic that is used by the bottling industry, too much of which goes un-recycled and into landfills. The proposed regulation would establish a moratorium on the issuance of new or increasing permits for water bottling by prohibiting a person from using groundwater for the purpose of manufacturing bottled water or manufacturing water as a product that is sold in other types of portable containers. The moratorium would apply in all of Ontario and would be in effect from the date the regulation is filed (anticipated to be before the end of 2016) until January 1, 2019. During this period, the regulation would also prohibit the Director from issuing permits to take water for pumping tests, where the objective of the pumping test is to provide data on the feasibility of the water source for a future new or expanding water bottling operation. Do you want to see more details on the proposed regulation? Are these restrictions on bottled drinking water permits enough? Would you like to see other types of restrictions on water takings? Would you like to suggest a change to the regulation? 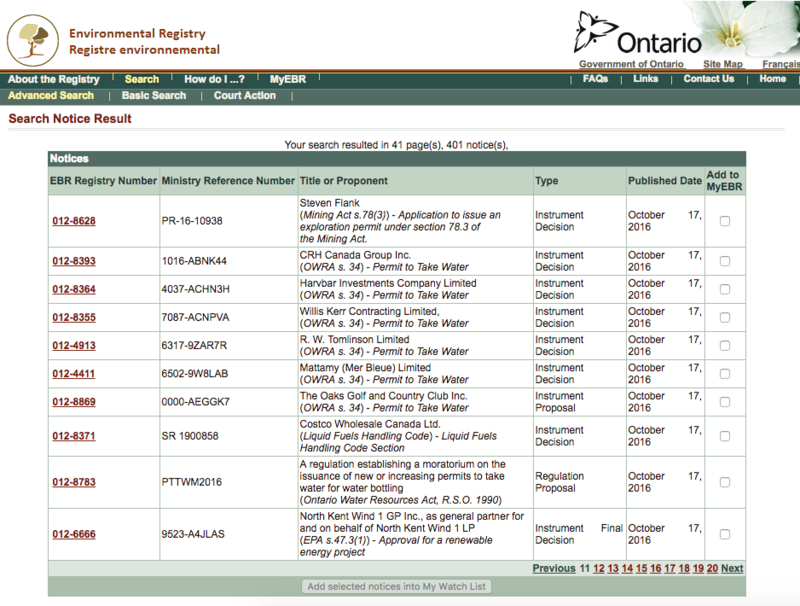 The Ontario Environmental Registry contains public notices about environmental matters being proposed by all government ministries. It contains information on how to obtain more information, and how to provide public comments and key dates regarding the public comment period. The Environmental Registry provides you with an important vehicle for participate in decisions that effect the environment and your community. If you are interested in commenting on the proposed water bottling regulation follow this link. Nbisiing Consulting Inc. can provide your First Nation, indigenous organization or agency with the necessary tools, advice and representation to get your message across to government. The Environmental Registry can be just one step in a broad Government Relations Strategy that can bring your concerns to the highest levels of government. Along with an effective Communications Strategy and Social Media Strategy, your organization can be on the leading edge in addressing this or any other important issue.